You must make bookings at least 5 minutes in advance of the time at Com Viet. Parking at the side Road with Pay and Display, on King Street. 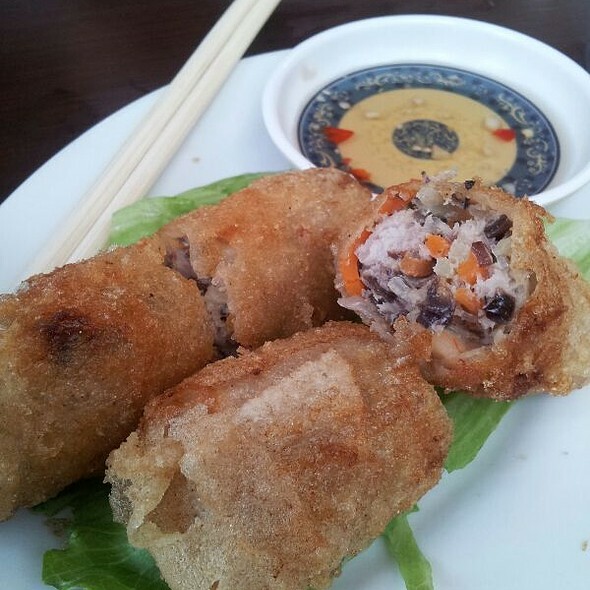 Blending glamour and comfort, London’s Com Viet is an authentic Vietnamese restaurant in an enviably central location. Moments from the theatres and bars of the West End, Com Viet is an ideal pre- and post-theatre booking, providing delicious food, a full drinks list and a cosy setting all at once. Friendly service is a Com Viet standard, the team working hard to create a relaxing atmosphere and provide everything their guests need for a memorable dining experience. Decked out in dark wood and brown leather, exposed brick, gilt mirrors and crystal chandeliers, Com Viet’s dining room is atmospheric, with a touch of Eastern romance, the aroma of Vietnamese cooking tempting you before you even open the menu. Prepared fresh every day, using high quality ingredients selected for their authenticity, Com Viet’s cuisine is entirely taken from recipes passed down through the generations and given new life by the restaurant’s experienced chefs. Com Viet accepts bookings from Sunday to Thursday. With grated Tara Root, Mung Bean & Mushrooms. With Crab-meat, Pork & Mushrooms. Salad, Prawn & Vermicelli wrapped in Rice-paper. Skewered Cha (mixed with Pork & Prawn), served with salad & Viet herbs, wraps in rice paper. Coated in Honey & Lemongrass. 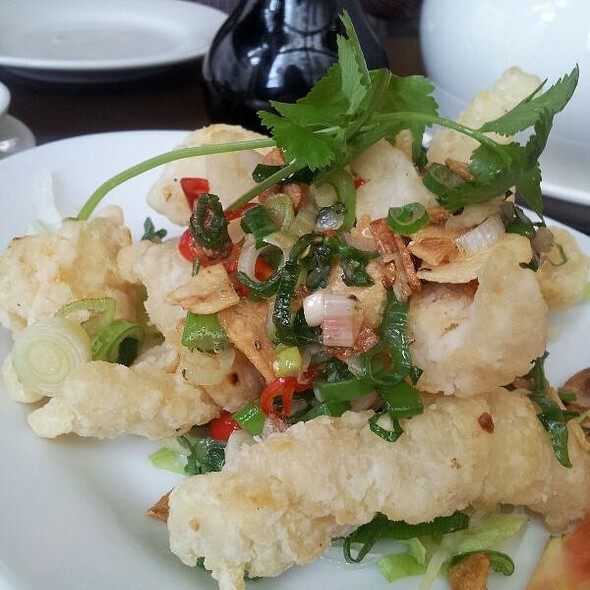 In Spring Onion Oil, topped with Roasted Peanuts, dressed with tangy fish sauce. Sweet potatoes, Prawn, Vietnamese herbal Lettuce. Crab-meat, Winter Melon, Spring Onion, Coriander. Prawn, pineapple, bean sprouts & okra. Crispy, yellow pancake wraps with king prawn, pork, bean sprouts, served with salad & tangy fish sauce. Quick fried Rib eye shaking beef cube with pepper, garlic, served with green salad. 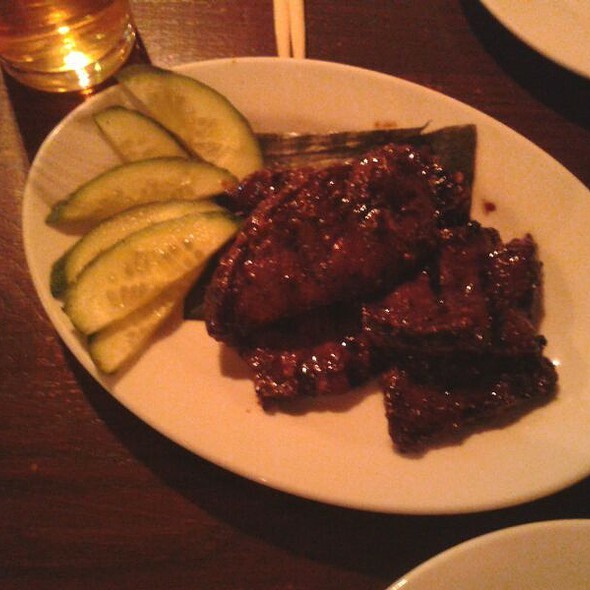 BBQ Marinated Lamb with lemongrass, served with prawn paste sauce, chilli and galangal. 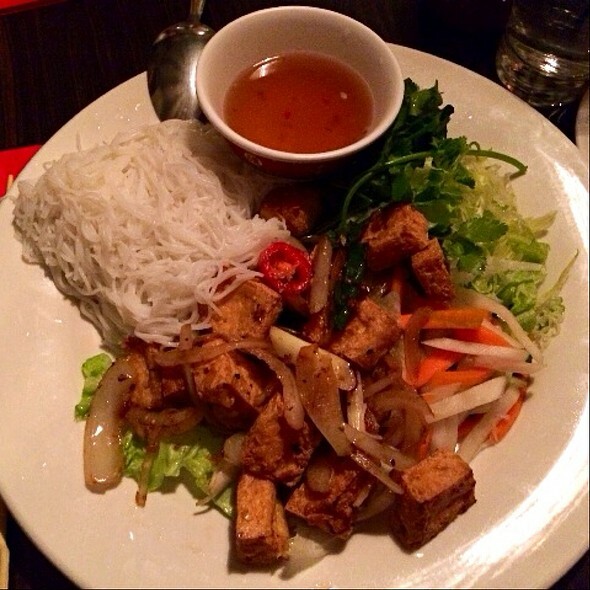 Crispy Tofu served with Hanoi style fish sauce. With spice, garlic and onions, served with sweet chilli sauce. Prawn, pork and squid on lemongrass skewered. 1 per portion, cut in two. Quick fried chicken breast cube with pepper, garlic, served with green salad. Vermicelli noodles, grilled charcoal beef serve with fresh salad and home made fish sauce. 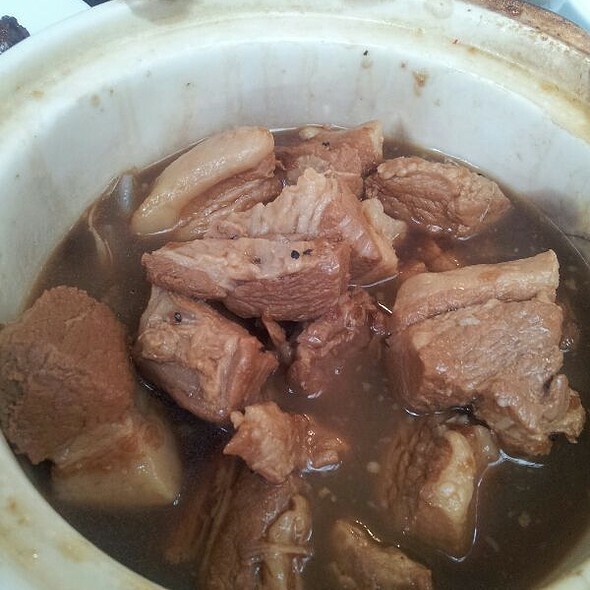 Slow cooked Pork Belly in clay pot, caramelised in fish sauce. Sea Bass Caramelised in fish sauce and pepper (Spicy). Wok-fried with Oyster gravy sauce & Onions. Served with Mango fish sauce. With Pickle Cabbage & Tomatoes. With Lemon grass & Chilli. With Ginger & Spring Onion. With Cauliflower, tenderly mixed with Garlic & Spring Onions. Wrapped in Banana leaf, tenderly marinated with lemon grass, Galangal & Garlic. Caramelised in fish sauce, ginger, chilli, and lemongrass (Spicy). Tofu caramelised in fish sauce. With Runner beans & Garlic. With Water Spinach & garlic. With Chilli Salt & Pepper. With organic Egg & Garlic. With Oyster Mushroom, Shiitake Mushroom & Beansprouts. 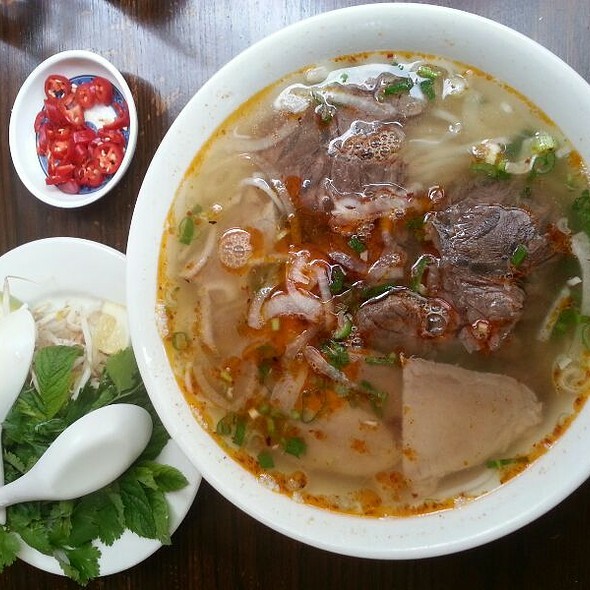 The spicy version of Pho from Hue, the old imperial city flavoured with Lemon grass, whole chillies, served with beef. Classic Vietnamese noodle soup served with Viet basil, saw-leaf & Bean-sprouts. Choose from either Chicken or Beef. Braised Ox cheek with Lemon-grass, Saw-leaf & Pho noodles. Shiitake Mushroom, Oyster Mushroom & Chouchou in an aromatic broth. A salad of raw vegetables & rice Vermicelli, with Lemon-grass. Saut%E9ed, served with home-made sauce. Lemon-grass marinated Pork loin, served with crispy spring rolls, Pork, Daikon & Herbs. 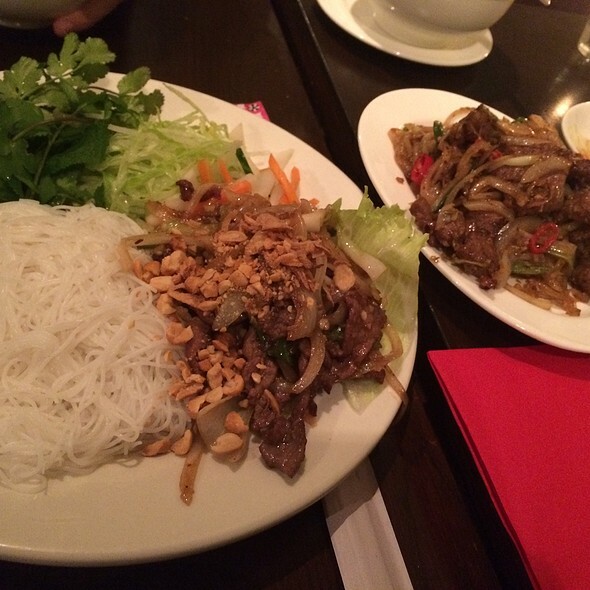 Stir fried Beef top with Bean-sprouts, Salad, roasted Peanuts, Shallots & Vermicelli. Charcoaled Lemon-grass marinated Pork chop, with fried Duck Egg & Jasmine Rice, served with tangy fish sauce. Charcoal Beef, green Papaya, Thai Basil & Garden Mint. Crunchy lotus stem, roast peanut, garden mint. With Garlic and 5 spices. Wok-fried with Ginger & Garlic. Wok-fried with garlic & onions. Deliciously crisp and fresh, packed full of vibrant and long lasting lime, Gooseberry and tropical flavours. Lemony on the nose, with a delicious balance in the mouth. Dry white with a gorgeous lingering finish. Packed with grapefruit, lime and melon flavours, all bound up with a zesty, crisp, citrus balance. Aromatic nose of Gooseberries and lychees accompanied by herbaceous, grassy, lemon and lime flavours. The palate has a good weight of fruit and beautifully balanced acidity that gives the wine a long, fresh, crisp finish. Crisp, apple acidity, pure fruit flavours of white peaches and pears and a classic, steely, dry finish. Aroma of plums and strawberry jam. Beautifully balanced. Medium bodied and dry with soft, ripe blackcurrant flavours and balancing structure, finishing rounded and juicy. Red cherry and plum aromas complemented by sweet ripe tannins. Blackcurrant aromas with hints of mint. Powerful and concentrated with ripe blackcurrant and fig flavours. A rich, dark, cherry red wine with great colour density. The wine displays Aromas of black pepper spice, ripe plum compote, five spice powder and toasty Oak. This full bodied wine is driven by concentrated fruit flavours of chocolate and black cherries, subtle savoury textures and fine, soft tannis. A bright, ruby hued wine with aromas of black cherry, violets and Savoury spice on nose. A fleshy plate with notes of Plum and spice, silky tannis and firm finish. A classic elegant Prosecco with tiny bubbles with a palate of fresh green apple and a long crisp finish. Aromatic nose of gooseberries and lychees accompanied by herbaceous, grassy, lemon and lime flavour. Crisp, citrus aromas with subtle toasty notes leading to an elegant, balanced palate with a lively texture. Light, elegant, complex and dry with vibrant freshness. Subtle minerality with a refreshing finish. Excellent food - very tasty. Excellent staff very attentive and friendly. Will be back again soon. Food mixed, from fantastic scallops starter to disappointing fish cake noodles and slow cooked sea bass. My wife’s stomach was very upset after our visit, hence the low rating. Service was good though, as was the ambience. Really nice pre theatre meal. The food is really fresh and authentic. Service is great too. Food was delicious. The staff was kind and take good care of customers. Cosy restaurant conveniently located with interesting choice of food and decent staff- perfect pick for our early evening meal before heading home ! You know you’ve had a good meal when you are thinking how good the food was the next day! Will definitely return to this genuine restaurant with such friendly, helpful staff who were right to curb our over ordering as portions were large. We went for the set menu and added the duck dish to it and thoroughly enjoyed all of the dishes. Although its not fancy in terms of decor - the location, the food and the friendliness of the staff make it stand out as an ideal choice for a meal in Covent Garden. Service was quick and friendly. Dishes came quickly and eat on was explained in detail, matching which dipping sauce to which food. Very good. Staff happy to chat, no rush at all. Very friendly staff with good suggestions. Delicious food. Will be returning. Our table was underneath one of the arches which was pleasant but a bit too dim and the seating was a bit small. The starters were delicious. The mains were mediocre. Overall the service was exceptional. Fantastic experience for less than £60 for two. The portion sizes were generous and the flavours strong. 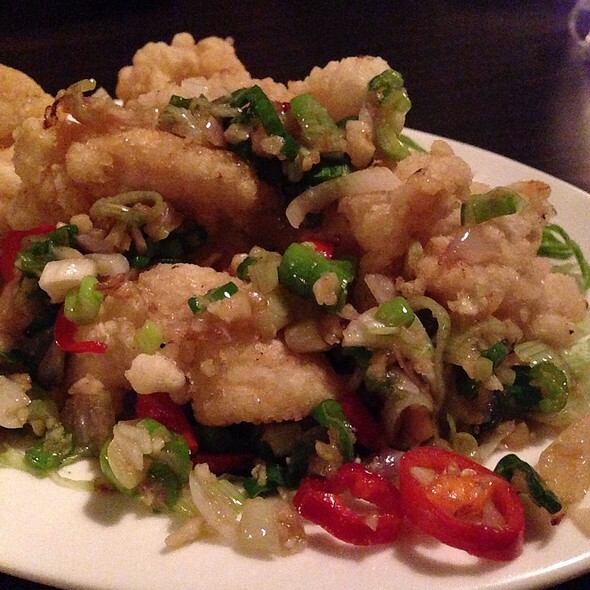 Unfortunately the softshell crab had run out, but the chilli squid was a great replacement as a starter. The signature spicy noodle dish was spot on, as was the slow cooked chicken with steamed rice. Service was very good from attentive and knowledgeable staff. Also being in the heart of Covent Garden, made it very easy for pre dinner and post dinner drinks. Having recently been to Vietnam can easily say the food was similar though portions here were much bigger!! Great service and would highly recommend!! Food was very greasy with added animal fat. My scallops came in rendered beef(?) fat. I am not familiar with the Vietnamese cuisine specialties but this version agreed with neither my taste nor my digestion. I admit there were many other customers and one person in our group of three that seemed to be enjoying the foods. I’m writing this review for those who have tastes similar to mine. 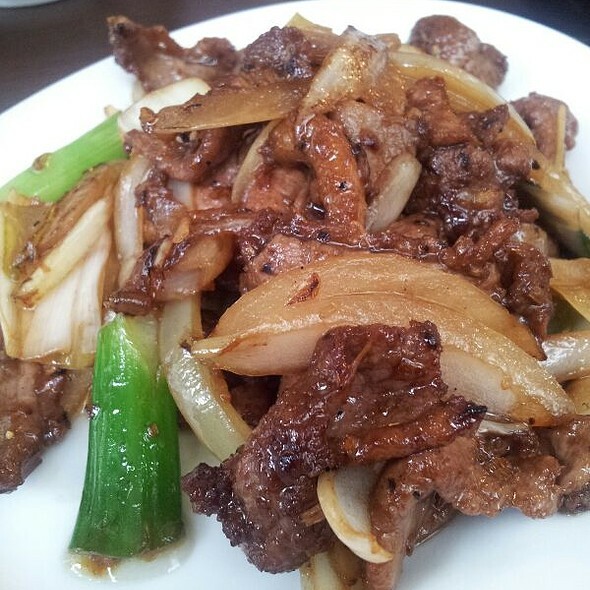 Otherwise, the place was great, the staff was attentive and the prices were very reasonable. We were vacationing in London from the United States. Reserved a table for 2:30pm, traveled all the way there, turned down at the door. My intro to Vietnamese food. Enjoyable - would do it again. Very friendly staff that worked hard to make sure you had everything you needed, the food was fantastic and traditional took me back to being in Vietnam, I will visit again. I like the variety of dishes on the menu and the staff are very nice but I found it to be far more expensive than it should have been, for what we had. Underrated Vietnamese restaurant in super central location. We had delicious food and experienced excellent friendly but not in-your-face service, great value and will definitely be back! Set menu was better than average with an interesting sharing plate starter followed by a dish each plus rice and a vet - under £50 for two. It was lively with people who obviously knew it was a gem, rather than people just passing by. We were in a rush pre-theatre, but you could spent the evening there. Will definitely go again. Really enjoyed eating here.The service was brilliant...so helpful and informative and very friendly. Delicious food...great variety and really aromatic, full flavoured dishes of all sizes. Thoroughly recommend! We had the lunch special for £11.50 per person. This included a starter, a main and a soft drink. We had the tempura Salt and Pepper squid and the prawn Summer Roll, both delicious, though the squid was the better of the two. We each had Pho, which was luscious and filling. The added dudes of cilantro, spearmint (?! ), chilis, bean sprouts and lime all added a freshness and herbal quality that were wonderful! Definitely a great place for a lunch, close to the Covent Garden Market at a great price. Excellent food in a friendly atmosphere. Very reasonably priced and of constant quality since many years. We were seeing The Inheritance and wanted some place early before the show. This was perfect, and the dishes were very well prepared. Nice service. Recommended. Food was good! They have limited vegetarian/vegan options though in case you're looking for that. Really tasty and the menu it slightly different from the usual, so that made a nice change. I’d love to go back. Excellent and authentic food. Friendly service. Great value for the money. Friendly service, tasty food with authentic flavours. Simple decor but certainly a good place to find in the hustle and bustle of town. A staff kept saying ‘hey guys’ to my 80-year-old parents. Food wasn’t great and staff in the kitchen sounded Chinese were very loud. Sticky table, dirty floor, stinky toilet. We were annoyed by a fly while eating. Never again. Everything looked good, was fresh and well cooked, but just lacked a little something so I was left wanting more. The green papaya salad was a little bland and lacked heat, the slow cooked chicken had hints of lemongrass and ginger but could have been better. The best dish was the whole Grilled Seabass. Speedy service - great for pre-theatre - and really tasty. Although from outside maybe not the greatest looking comparing the other shinny looking restaurants near, it serves a great food with a very reasonable price. Loved my first time there.